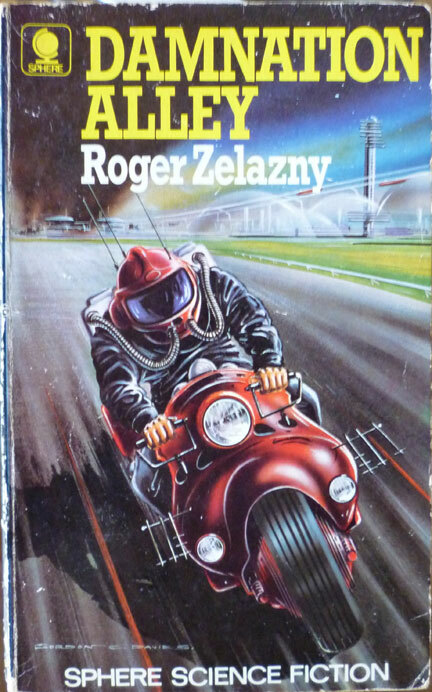 Damnation Alley: three thousand miles of radioactive wasteland, torn by hurricane winds and giant fire storms, the domain of mutants and monsters, a wasteland few men had ever crossed. My inner child was shouting "Oh yes! YES!" 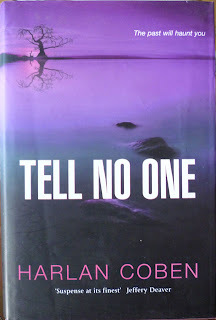 by now. But wait! There's more! 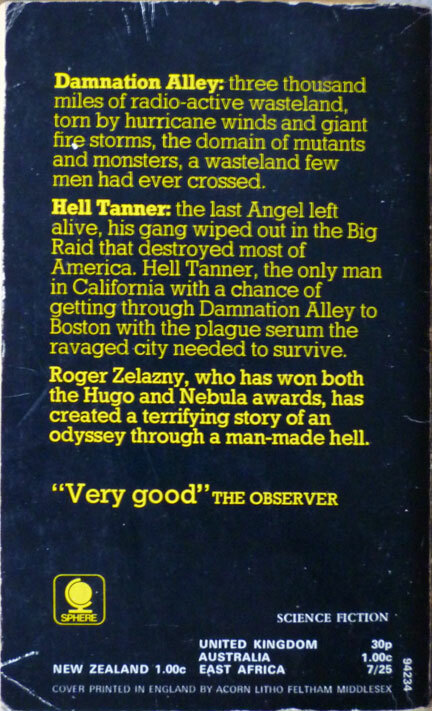 Hell Tanner: the last Angel left alive, his gang wiped out in the Big Raid that destroyed most of America. 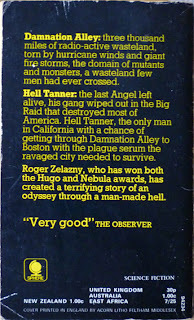 Hell Tanner, the only man in California with a chance of getting through Damnation Alley to Boston with the plague serum the ravaged city needed to survive... a terrifying story of an odyssey through a man-made hell. and promptly shut up. Not exactly a ringing endorsement there. 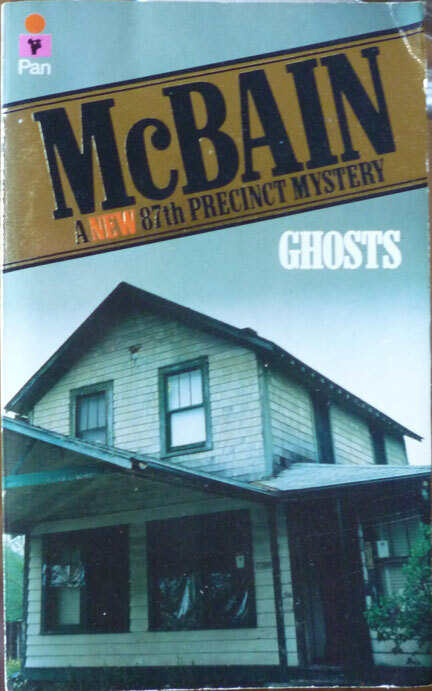 Incidentally, there was a 1977 movie made of this book, starring Jan-Michael Vincent – of then-future Airwolf fame – and George Peppard – of then-future A-Team fame. Two (then) future '80s icons, together for possibly the first and only time. I'd never come across this particular cinematic milestone before, but apparently it was one of two science fiction films scheduled for release by 20th Century Fox in 1977. Damnation Alley was supposed to be the big hit of the two, but as it turned out, it was the other film that did rather well instead. That film? Star Wars. 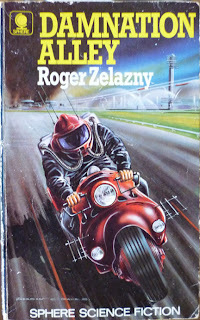 Still, maybe Damnation Alley the movie is as utterly awesome as Damnation Alley the book looks to be. 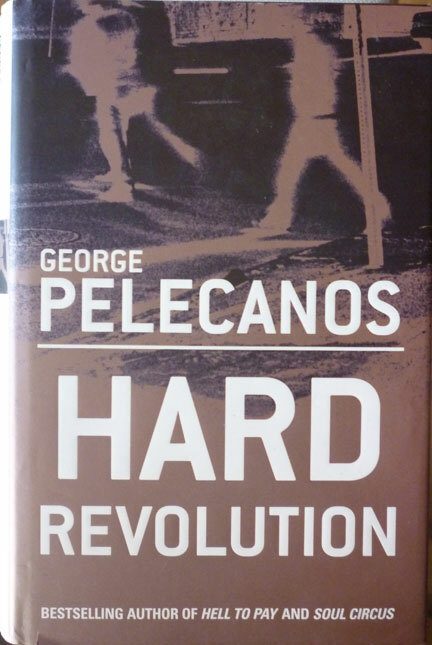 A UK hardback first edition of Hard Revolution by George Pelecanos, published again by Orion, this time in 2004, with a jacket photo by Harvey Tulcensky. 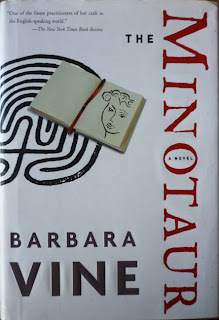 To date I've only read one Pelecanos novel – The Way Home – but I've got another one, Drama City (signed, natch), waiting in the wings, and now this too. 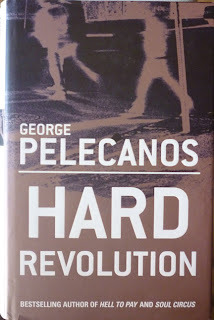 I became aware of Mr. P. through his work on The Wire (see also Dennis Lehane and Richard Price); Hard Revolution is part of his series featuring private investigators Derek Strange and Terry Quinn – except I think Hard Revolution is sort of a prequel to those, following a younger Strange when he was a policeman in 1960s Washington, DC. 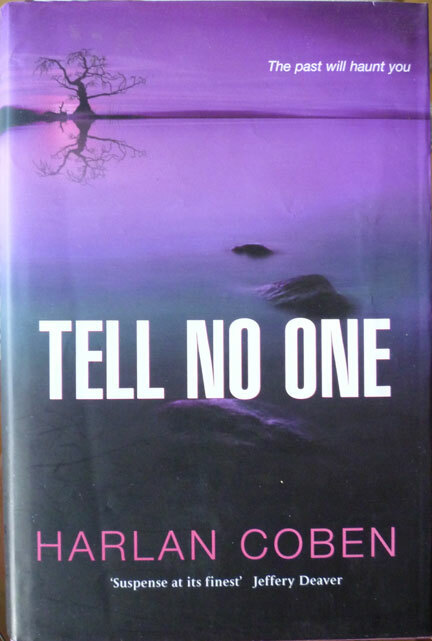 So I should be able to read it without reading the preceding three books in the series. At first I thought it was a previous owner's name... but then I realised it was a signature. 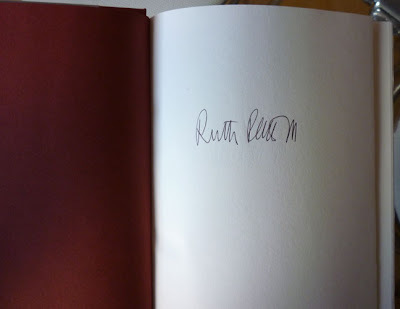 Ruth Rendell's signature, in fact. 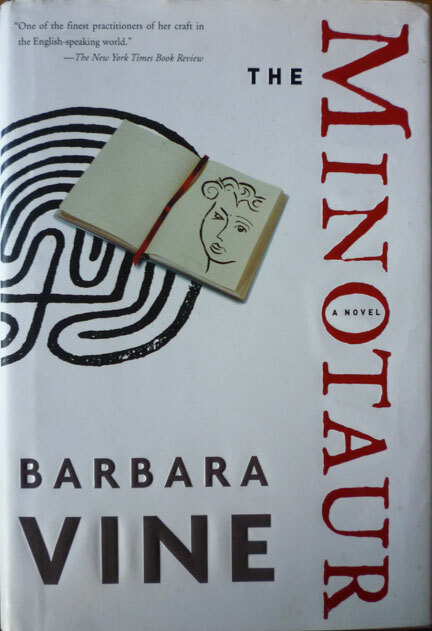 Which baffled me momentarily, until I remembered that Ruth Rendell and Barbara Vine are one and the same – Ruth Rendell being Barbara Vine's real name. At which point I offered Our Lord a swift prayer of thanks and hot-footed it to the nice lady taking the money. I know it's completely irrelevant to this post, but I looked up DAMNATION ALLEY on Wikipedia (yes, I missed it in the cinemas in '77 when I saw STAR WARS thrice). I was left with a totally irrelevant question: why would the Air Force have a couple of these "Landmasters" at a missile base?? 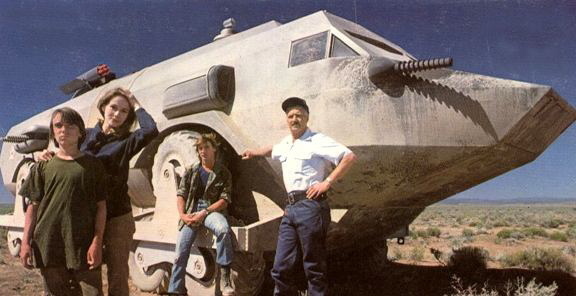 Damnation Alley was a major inspiration for the 'Cursed Earth' in early 2000AD Judge Dredd. Well I didn't know that. Gracias for the info!